Dave Mason, Writer - Phil Collins, Producer, Band Member, Vocals, MainArtist - Daryl Steurmer, Guitar - Hugh Padgham, Producer - Phenix Horns, Band Member Copyright : 2016 Philip Collins Ltd. under exclusive license to Rhino Entertainment Company, A Warner Music Group Company 1985 Philip Collins Ltd. under exclusive license to Rhino Entertainment Company. Phil Collins, Producer, Band Member, Vocals, Writer, MainArtist - Sting, Backing Vocals - Daryl Steurmer, Guitar - Leland Sklar, Bass Guitar - Hugh Padgham, Producer Copyright : 2016 Philip Collins Ltd. under exclusive license to Rhino Entertainment Company, A Warner Music Group Company 1985 Philip Collins Ltd. under exclusive license to Rhino Entertainment Company. Daryl Stuermer, Writer - Phil Collins, Producer, Writer, MainArtist - STEVE CHASE, Engineer - Hugh Padgham, Producer, Engineer Copyright : 2016 Philip Collins Ltd. under exclusive license to Rhino Entertainment Company, A Warner Music Group Company 1985 Philip Collins Ltd. under exclusive license to Rhino Entertainment Company. David Frank, Band Member, Keyboards - Phil Collins, Producer, Band Member, Vocals, Writer, MainArtist - Daryl Steurmer, Guitar - Hugh Padgham, Producer - Phenix Horns, Band Member Copyright : 2016 Philip Collins Ltd. under exclusive license to Rhino Entertainment Company, A Warner Music Group Company 1985 Philip Collins Ltd. under exclusive license to Rhino Entertainment Company. Daryl Stuermer, Writer - Phil Collins, Producer, Band Member, Vocals, Writer, MainArtist - Daryl Steurmer, Guitar - Leland Sklar, Bass Guitar - Hugh Padgham, Producer Copyright : 2016 Philip Collins Ltd. under exclusive license to Rhino Entertainment Company, A Warner Music Group Company 1985 Philip Collins Ltd. under exclusive license to Rhino Entertainment Company. 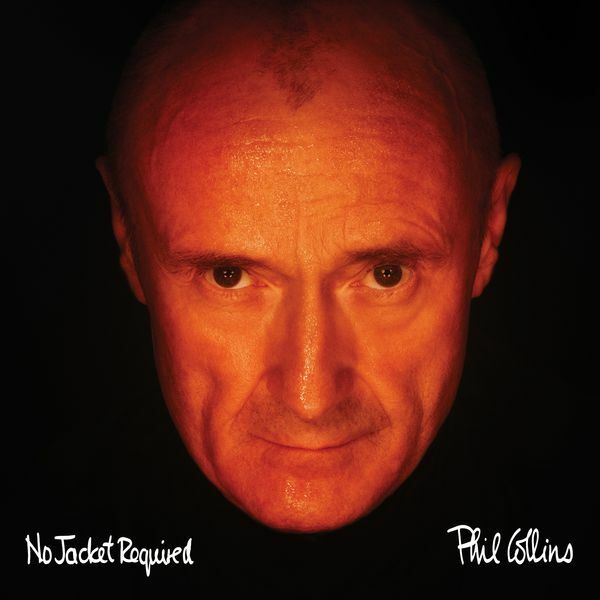 Phil Collins, Producer, Band Member, Vocals, Writer, MainArtist - Daryl Steurmer, Guitar - Leland Sklar, Bass Guitar - Hugh Padgham, Producer - Don Myrick, Saxophone Copyright : 2016 Philip Collins Ltd. under exclusive license to Rhino Entertainment Company, A Warner Music Group Company 1985 Philip Collins Ltd. under exclusive license to Rhino Entertainment Company. Phil Collins, Producer, Band Member, Vocals, Writer, MainArtist - Leland Sklar, Bass Guitar - Hugh Padgham, Producer - Nick Artemis-Scrubb, Keyboards Copyright : 2016 Philip Collins Ltd. under exclusive license to Rhino Entertainment Company, A Warner Music Group Company 1985 Philip Collins Ltd. under exclusive license to Rhino Entertainment Company. David Frank, Band Member, Keyboards - Phil Collins, Producer, Band Member, Vocals, Writer, MainArtist - Daryl Steurmer, Guitar - Hugh Padgham, Producer - Phenix Horns, Band Member Copyright : 2016 Philip Collins Ltd. under exclusive license to Rhino Entertainment Company, A Warner Music Group Company 2016 Philip Collins Ltd. under exclusive license to Rhino Entertainment Company. Phil Collins, Producer, Band Member, Vocals, Writer, MainArtist Copyright : 2016 Philip Collins Ltd. under exclusive license to Rhino Entertainment Company, A Warner Music Group Company 2016 Philip Collins Ltd. under exclusive license to Rhino Entertainment Company. Dave Mason, Writer - Phil Collins, Producer, Band Member, Vocals, MainArtist Copyright : 2016 Philip Collins Ltd. under exclusive license to Rhino Entertainment Company, A Warner Music Group Company 2016 Philip Collins Ltd. under exclusive license to Rhino Entertainment Company. Daryl Stuermer, Writer - Phil Collins, Producer, Band Member, Vocals, Writer, MainArtist Copyright : 2016 Philip Collins Ltd. under exclusive license to Rhino Entertainment Company, A Warner Music Group Company 2016 Philip Collins Ltd. under exclusive license to Rhino Entertainment Company.